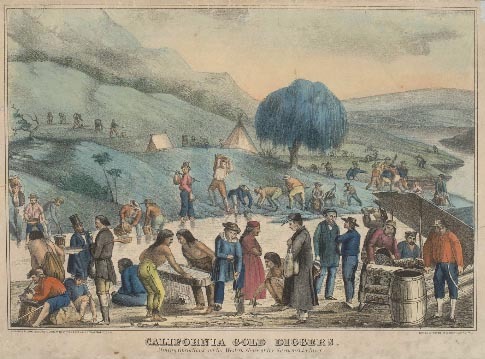 In the mid-19th century, the California Gold Rush attracted a massive influx of miners from around the world, and their vast numbers stimulated a wide variety of industries in California. While some found great wealth through mining, it was the entrepreneurs who provided supplies and services to the miners who found the most success. California provided an ideal place for entrepreneurial ventures and the growth of capitalism, and the Gold Rush’s profound economic effects sparked its ascent to economic primacy. Next to "stimulation of industries"